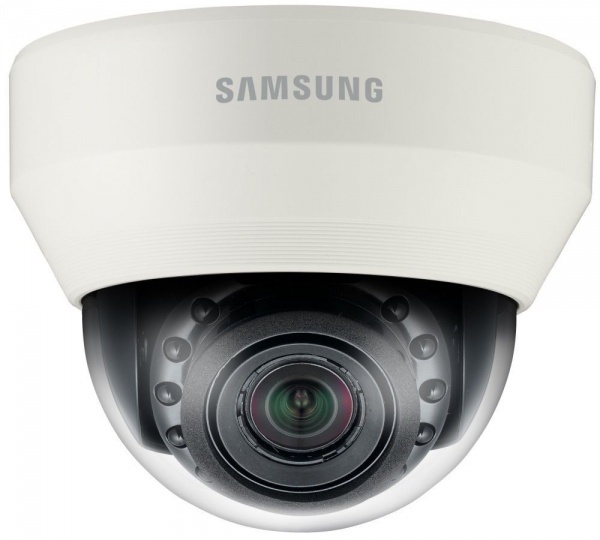 The SCD-6081R is Samsung's 2nd generation HD-SDI Dome Camera, now featuring integrated IR illumination LEDs. The SCD- 6081R is capable of delivering high definition video at up to 60 frames per second, with virtually zero lag, using the Serial Digital Interface (SDI) standard on conventional coaxial cable. This camera features Samsung Simple Focus, Samsung Super Dynamic Range (SSDR), and Samsung Super Noise Reduction (SSNRIII) technology, as well as a True Day Night infrared cut filter, and Wide Dynamic Range rated at 100dB.